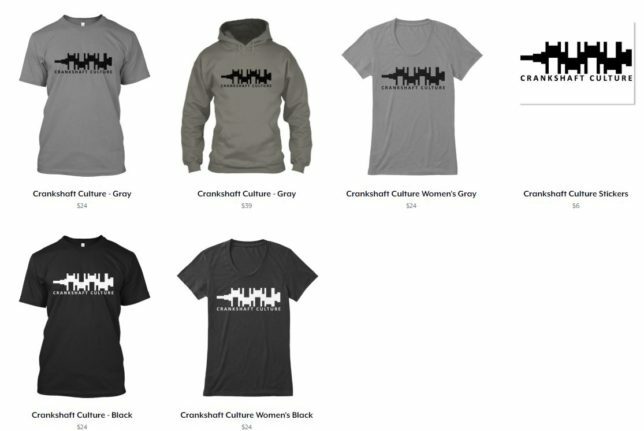 Crankshaft Culture Clothing is Now Available! Hey you—don’t you think it’s time you treated yourself to a new tri-blend t-shirt, a warm hoodie, or a cool decal? We do, too.